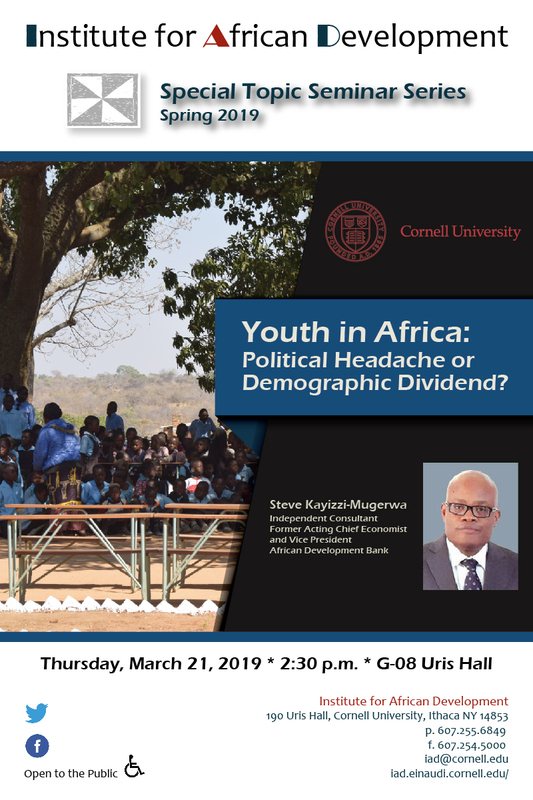 Youth in Africa: Political Headache or Demographic Dividend? Steve Kayizzi-Mugerwa is an independent consultant who most recently worked in the Independent Evaluation Office of the IMF. Former Acting Chief Economist and Vice-President at the African Development Bank. He has a long and extensive experience in economic and development research garnered at the University of Gothenburg, where he received his PhD in 1988 and later became Associate Professor. He has undertaken research collaboration at many universities, including Makerere, Nairobi, Lusaka, Helsinki and Cornell. He has been external examiner at University of Cape Town, Stockholm’s Handelshogskolan, Lund University and Dar es Salaam. Dr. Kayizzi-Mugerwa served as Senior Economist at the IMF and a Fellow and Project Director at the World Institute of Development Economics Research of the UN University, based in Helsinki. He is currently part of an expert panel retained by the Government of Uganda to evaluate the country’s first and second national development plans, covering the period 2010-2020.